Thus ends one of the chapters in Clive Hay’s unusual and entertaining story of life in the South African Defense Force. This light-hearted story will transport the reader to a time when South Africa was probably at it’s zenith as a military power in Africa. Largely free of the “done-to-death” political commentaries of South Africa during the apartheid era, this book will show you a cross-section of youth not unlike many in the New World. Yes, the subtle nuances are there – as seen by the title of the work itself. But the author chooses not to dwell on the sins of the political elite, choosing instead to impart his own sins, triumphs and toils in this sometimes hilarious view of life in the SANDF. Born in Durban, South Africa in 1959, Clive Hay spent most of his Primary school years in Durban, and his High school years in Johannesburg. He was called up to the army for 2 years in July 1977, six months after graduating from High school. After a short stint with Barclays Bank after being de-mobilized, he started his working life as a professional musician in November 1979. He is still active as a working musician. Clive married Renata Whaits in 1997 and the couple moved to Sydney Australia in 2000, where they currently reside with their three sons. 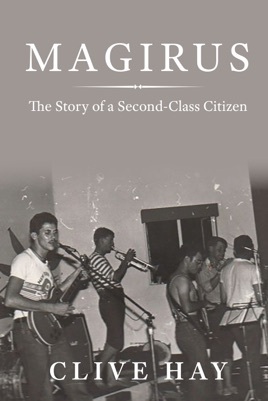 “Magirus – The Story of a Second-Class Citizen” is Clive’s first foray into writing professionally. The book chronicles the authors experiences in the South African Defense Force.